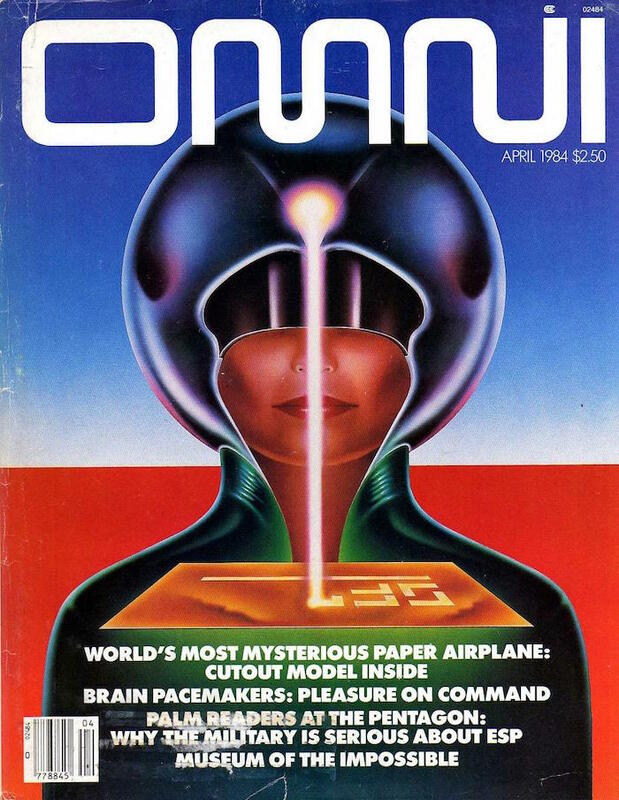 Good news for Omni magazine fans – all 200 issues are now available on Amazon for $2.99 each, or free if you're a Kindle Unlimited subscriber. Up until a couple of years ago the science and science fiction magazine, which was created by Bob Guccione of Penthouse and his wife Kathy Keeton and ran from 1978–1995, could be be accessed for free on the Internet Archive, but it was taken down. It’s a bit of a shame that the issues are no longer on the Internet Archive, but it is good to see that they’re back online once again. A portion of the proceeds from sales of the magazine will go to support the museum. As promised by Jeremy Frommer, the financier who has assembled the largest private collection of Bob Guccione, Omni, Penthouse, and related stuff (a good portion of which is for sale), Omni Reboot is live. Edited by Claire Evans, a writer and editor (and part of the band YACHT), Reboot is starting life as a blog, but Claire tells us she has great hopes for expanding as time progresses. But what a blog! Friends of Boing Boing Rudy Rucker and Bruce Sterling contributed fiction to the launch: "I Arise Again" and "The Landline," respectively. The premier also sports a feature on Ben Bova, one of the great science-fiction editors and writers, and a founding editor at Omni; and about what was learned in the "failure" of Biosphere 2. Glenn Fleishman on the imminent reboot of the legendary science and science fiction magazine.